The holiday season is upon us once again, and you know what that means: holiday parties! I love hosting holiday parties at my house. My girlfriends and I get super into it. We carefully craft the menu and the cocktails (and of course what we’re wearing!). We keep the menu easy — appetizers only. We like food that’s super easy to eat and doesn’t take a lot of time to make. 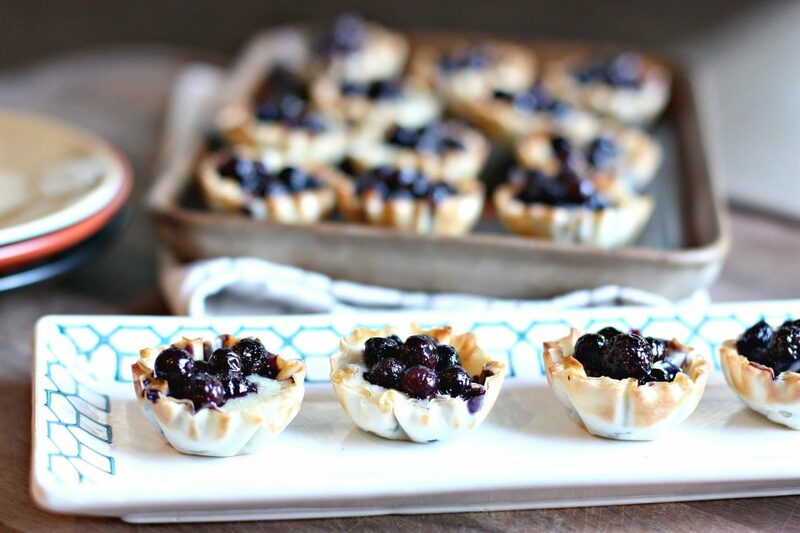 We don’t rely on your everyday apps either (no cheese and cracker platters here), we like big flavor with a little bit of fancy and my Wild Blueberry & Brie Pastry Bites totally fit the bill. I tested these bites at a friend’s house last week and they were a big hit. 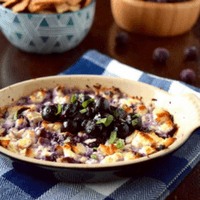 The combination of crispy pastry, rich and gooey brie cheese, and the not-too sweet Wild Blueberry sauce really makes for the perfect appetizer. I also love that you can bake them up at home and then reheat them right before serving without sacrificing flavor or texture. They were just as delicious reheated as they were fresh from the oven! What’s the secret to getting these delicious appetizers on the table quickly? Mini phyllo shells. There’s no need to mess around with sheets of pastry or put in tons of time to make your own dough. 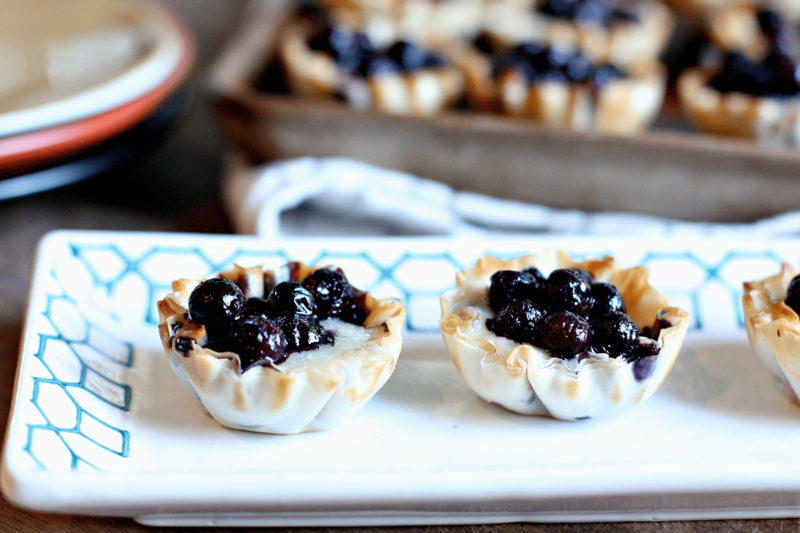 Pre-made frozen phyllo shell cups come ready to be filled with Wild Blueberries and melty brie. 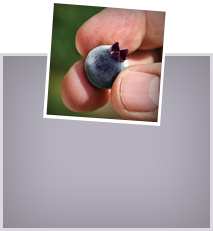 The Wild Blueberry sauce is super simple to make, too. 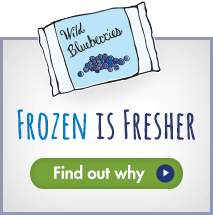 Just simmer your frozen Wild Blueberries with a touch of maple syrup and some festive spices, and you’re good to go. 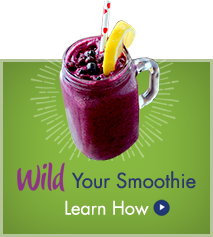 After about 10 minutes, you’ve got yourself a tasty Wild Blueberry sauce that’s also super healthy. 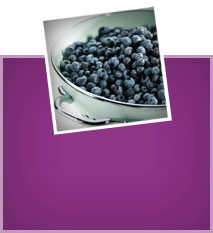 Wild Blueberries are rich in antioxidants that provide heart, brain, and anti-aging benefits. That’s something not many holiday appetizers can boast! 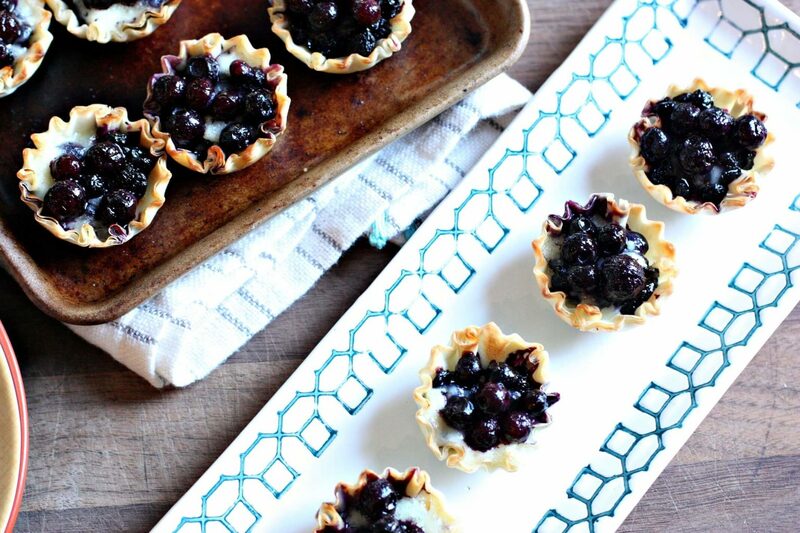 Whip up a batch of these Wild Blueberry & Brie Pastry Bites for your next get together; they’re sure to be a hit. For other holiday appetizer ideas try my Wild Blueberry Pinwheels, Wild Blueberry Sweet Potato Stacks, or these Wild Blueberry & Goat Cheese Hand Pies.